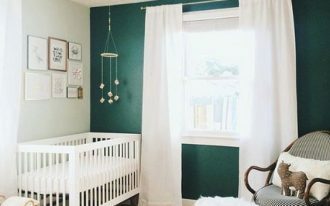 When it comes to creating a bedroom for kids, you may need adding more furniture items besides a bed. You can add a dresser, a wardrobe, a seating, a desk, and a space for playing. It will make the kids bedroom more functional. 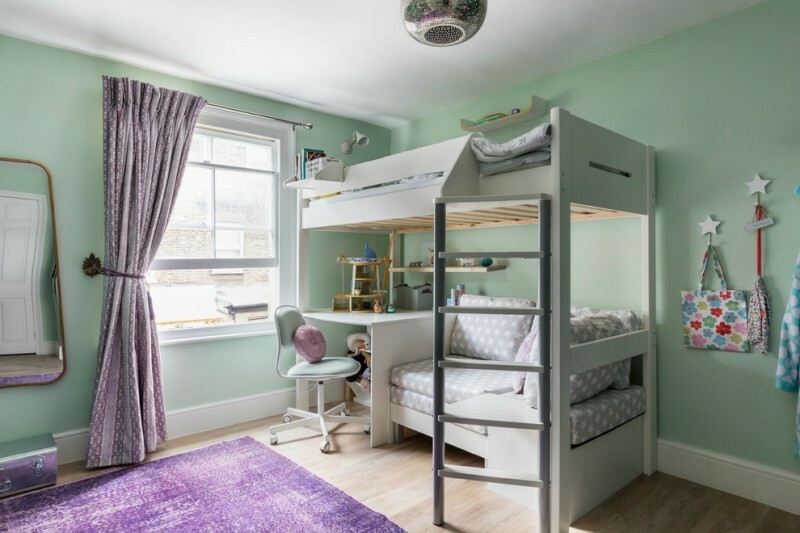 You can also save the space by completing the kid’s bedroom needs in one place. You should get a desk as one of the main bedroom furniture items. The kids will enjoy studying and making some arts on it. Finally, complete it with a comfy seat. 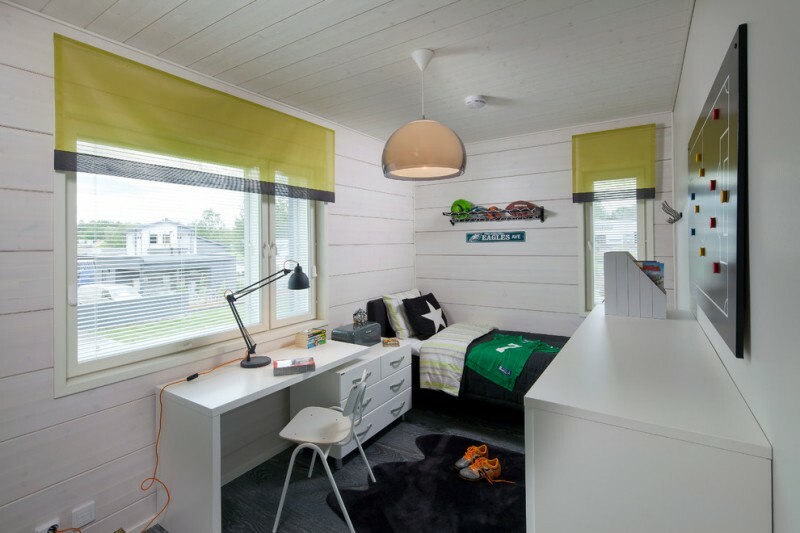 The following are some efficient kids bedroom desk ideas that will inspire you to create a functional bedroom for your kids. 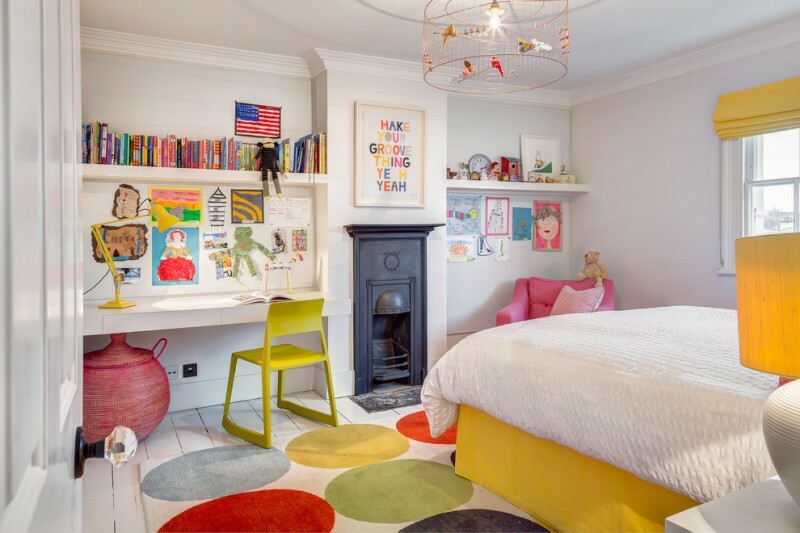 This white bedroom for kids has a white desk dresser combo which is really suitable for a wide space. Placing it next to the glass windows to get a nice view. 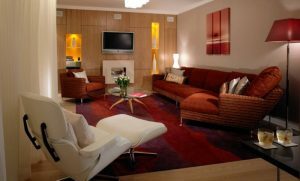 It is completed with a small white chair for seating. This bedroom looks so colorful. 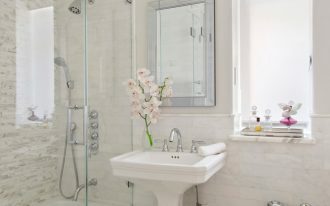 Use the white base so you can decorate it nicely with any colors you want. The desk is built-in and has a yellow chair, yellow table lamp. You can provide two built-in shelves for the books and toys. Here is another desk facing the window. It has a dark top and some white drawers for storages. The desk also has enough foot space under the small middle drawer. 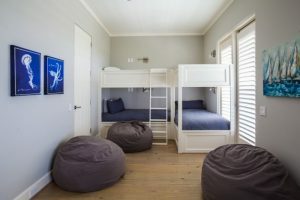 This bunk bed offers a unique design and complete features. You will absolutely like how under the bed there is a desk and couch. It is one of the advantages of having a bunk bed. 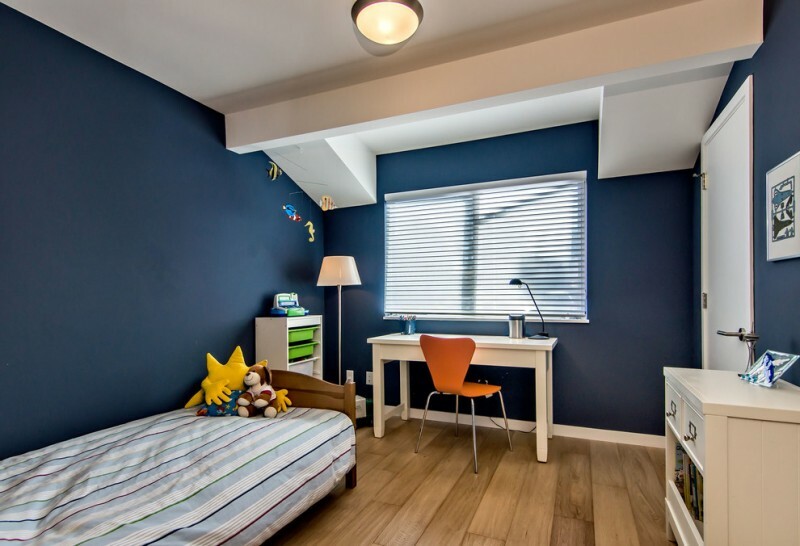 The contrast paint colors of this navy blue boy bedroom show off the attention to detail in pulling off this look. There are a white minimalist desk and an orange chair. 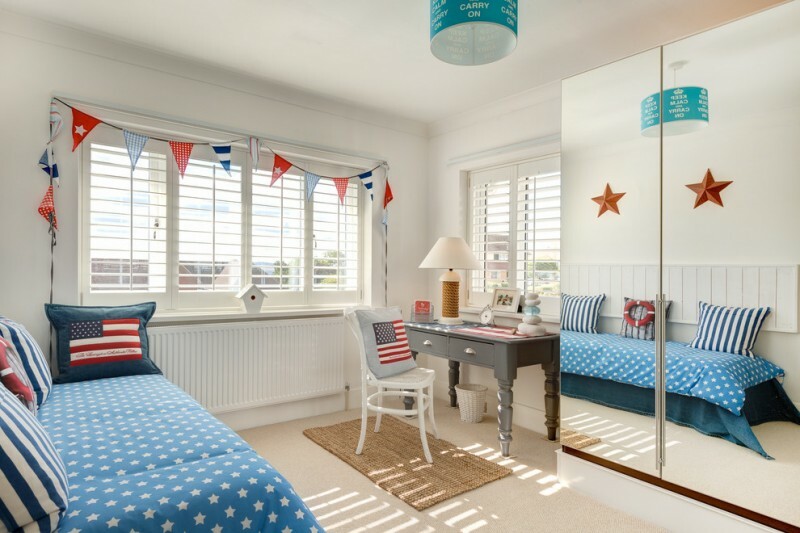 You can put a traditional grey desk for a small child’s bedroom with a seaside theme. 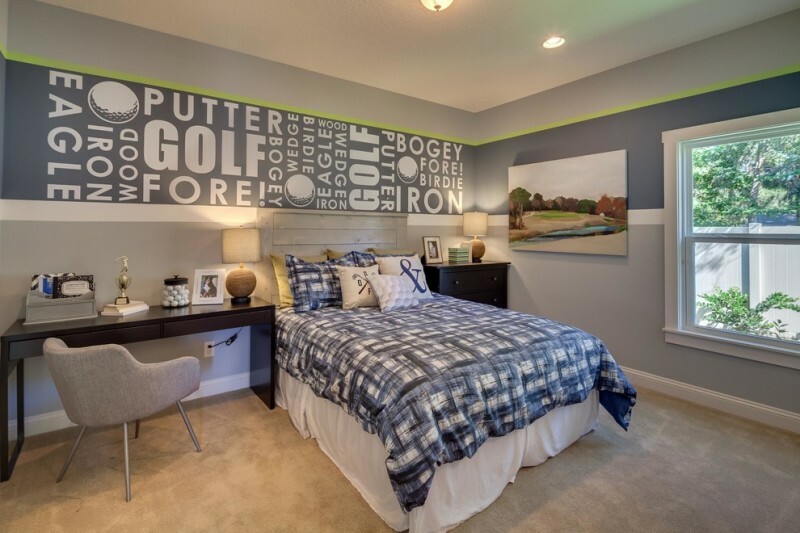 It can blend in really well into the style of this bedroom. The mirrored wardrobe shows a nice reflection and lets this bedroom look more spacious. 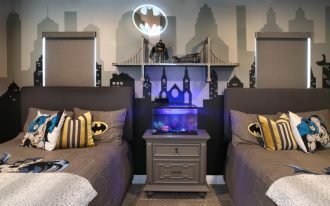 The boys will love this bedroom. It has a cool grey hue and minimalist furniture item. Instead of having two nightstands, a dresser and a desk are put on both sides of the bed with the table lamps. Built-in seatings and desk are offered in this bedroom. 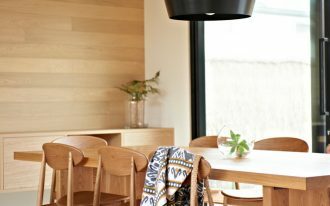 It is a great idea to fill the wall if you don’t want it to be empty and plain. There are a shelf and more storages above the desk. The chrome legs and base of the white desk and red chair give the luxurious feel in the study space. 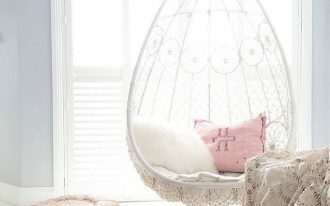 The kids can enjoy reading in the cozy reading nook and do the more serious task on the minimalist desk. 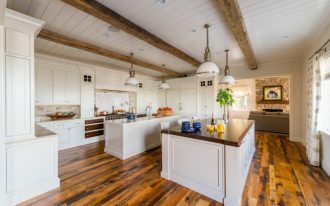 It also includes the built-in bookshelves in the corner.